You can find Jennie here, here on Ravelry, and here on Etsy. In many places! When I first started designing about 30 years ago I looked at knitting patterns from the 1940s, 50s and 60s for ideas on stitches, shaping and details. Nowadays, when I design for magazines they will usually give you a fashion ‘story’ – generally quite an abstract idea based on the trends seen in the catwalk collections - and that can spark off all sorts of ideas. Beading! 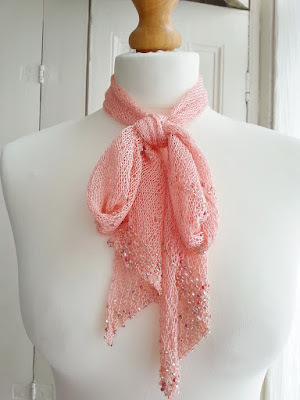 I’ve used beading in my designs in the last few years – especially as I like to use fine yarns – and have recently designed for a Rowan Swarovski collaboration using crystals. When I design for magazines, they determine the size range. I think most designers have their own ‘handwriting’, a style based on their preferences for yarn, stitches etc. so even if you gave several designers the same brief they would come up with very different designs. It is useful to see what other designers are doing. I didn’t realise there was one! But if you mean that patterns give too much information, then I suppose some people might need it. However, I have studied knitting patterns from the 19th and early 20th centuries and they gave hardly any information at all. 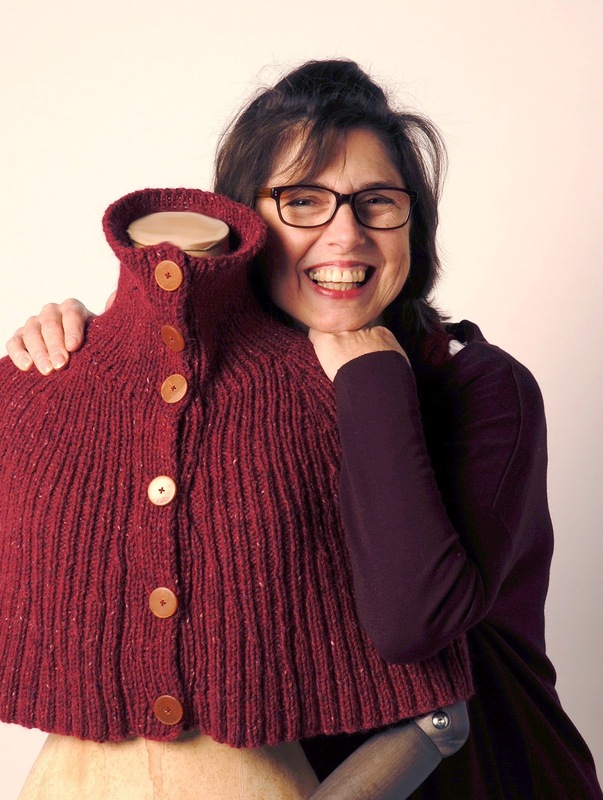 They relied on the fact that knitters would have knowledge – probably learned at school or from relatives – and would use some initiative, and that sounds like a good idea to me! My own designs I like to do myself. When I design for other companies they often have their own knitters. I’ve done several over the years! My business has changed many times. 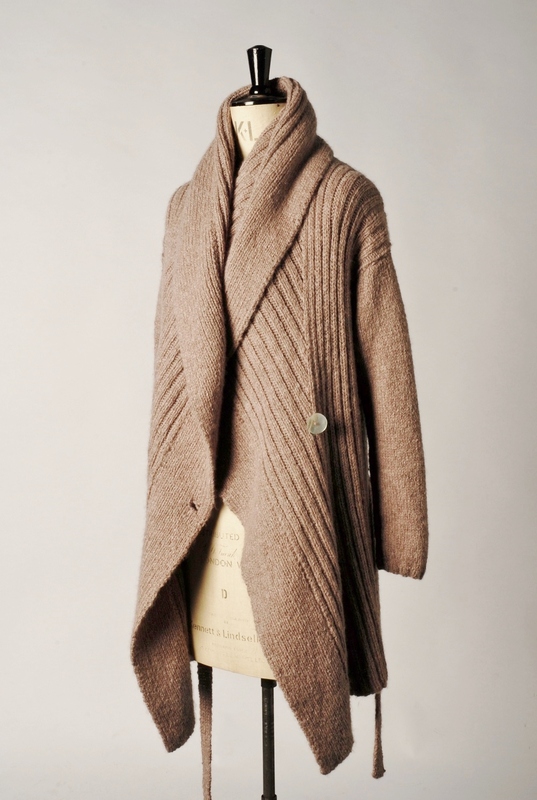 I started by making knitted garments to sell to shops, then in my own shop. Then I started designing for the ‘home-knit’ market; then I did my book A Handknit Romance off my own bat; then I started doing knitting fairs in order to sell the books; then I added kits. It’s a good idea to have a plan, but then be flexible enough to alter it if necessary. I’ve been seeing a business adviser for the past few months. Not really, but I recently heard a talk by a successful knitwear designer and I really like how she runs her business, so it gave me some new ideas. I think it probably is a good idea to study a successful business and pick up ideas, then think of how your business can use those but be different. I really enjoy what I do, so it is difficult to separate the two. I don’t mind constructive criticism – good or bad. I’m my own harshest critic! That’s a difficult one as I have been doing this a long time, and sometimes I have struggled a bit. If this article is about giving advice I would say start with another source of regular income, perhaps a part-time job, and this will allow you to put all your profits back into the business. Then when the business is doing well enough, you can start paying yourself! It depends what sort of career. It’s always helpful to work for someone who has the type of business you would like, to get an insight. Or, if someone wants to work as a freelance designer, sell designs to magazines and yarn companies. I would say just go for it! I am having yet another re-think! I’m still doing freelance design for magazines and yarn companies, but I like the idea of making finished items again, rather than focussing on selling patterns. I have so many ideas for designs and only a few of them ever see the light of day! Basically, I’m a designer, I love designing knitwear and that’s what I want to be doing.